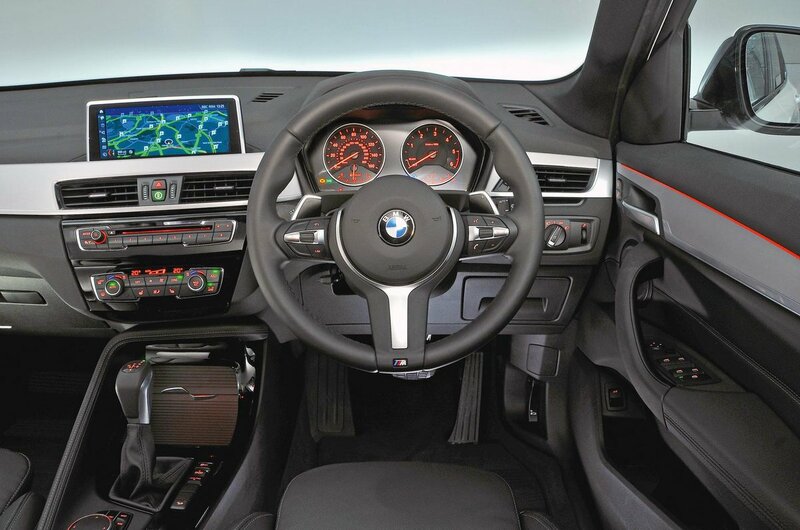 BMW X1 Interior, Sat Nav, Dashboard | What Car? There’s a good range of adjustment in the seat and steering wheel, plus a central armrest to aid comfort. 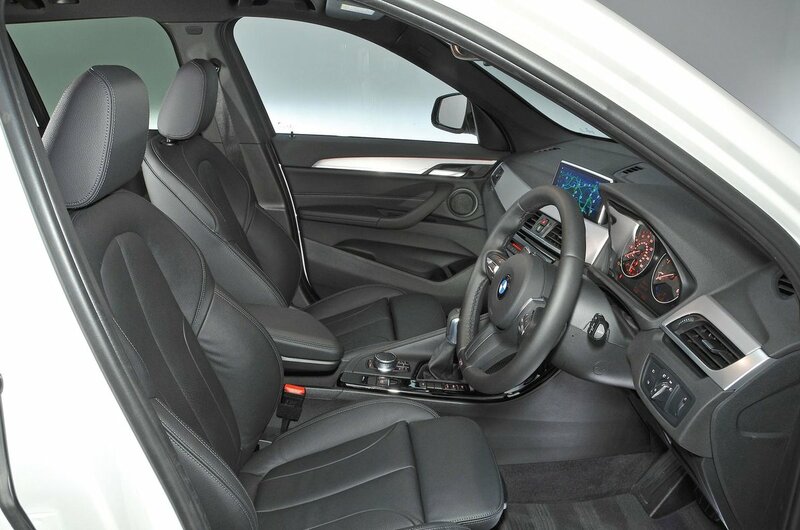 The driver's seat has plenty of side support too, even on SE models, which miss out on the heavily bolstered sports seats of Sport and M Sport versions. It’s a shame that adjustable lumbar support is optional across the range; those traveling long distances would be wise to add it. Despite this, though, it’s easy enough to get comfortable, with all the dashboard controls laid out in a logical manner. Overall, visibility is very good in the X1 thanks to a driving position that's higher than a traditional hatchback's. Helping further is a low-mounted dashboard that gives you a decent view over the bonnet. Unfortunately, the windscreen pillars can cause issues for some drivers who have to sit close to the wheel; the size and position of the pillars can block your view when pulling out at junctions. The upsweeping rear window line can also be problematic when reversing, although rear parking sensors are standard on all models. A reversing camera is optional as part of the Technology Pack, but this costs nearly £1000. Also optional is a Driving Assistant pack that includes a lane-departure warning. 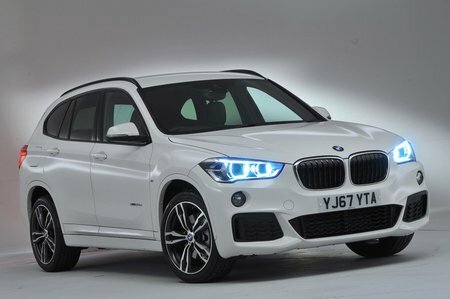 The BMW X1 has a brilliant infotainment system – particularly by small SUV standards. All versions come with a DAB radio, a CD player, a USB socket, satellite navigation and Bluetooth, and you also get a colour screen with crisp graphics. The screen is a rather small 6.5in, but the interface – a rotary dial between the front seats surrounded by a handful of shortcut buttons – is wonderfully intuitive. You simply twist the dial to scroll through the on-screen menus and press it down to make a selection. Opt for the Navigation Plus package and you gain a larger 8.0in display with online connectivity and real-time traffic information. You also get a full colour head-up display which projects information, such as your speed and navigation directions, onto the windscreen right in your line of sight. Although this system is pretty pricey, it is worth considering given the big benefits it brings. Whereas the original X1 had hard, cheap-feeling plastics throughout its interior, this latest model is about as classy inside as small SUVs get. The X1 has the kind of solid build quality and premium feel that you’d hope for from a premium-badged German car. Even on base SE versions, there’s plenty of chrome trim and metal effect inlays to lift things further, while all controls operate with a well-oiled precision. If you really want to push the boat out, leather upholstery is standard on high-spec xLine models and optional on all other trim levels. Rather than lagging behind its rivals for perceived interior quality, the X1 is well ahead of the Mercedes GLA and Range Rover Evoque, and even pips the Audi Q3.